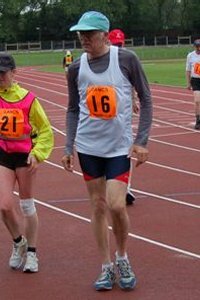 2016: 4 races 27,600 metres completed. 2013: 8 races 159,849 metres completed. 2012: 9 races 104,135 metres completed. 2011: 10 races 119,487 metres completed. 2010: 11 races 154,864 metres completed. 2009: 13 races 209,916 metres completed. 2008: 15 races 201,135 metres completed. 2007: 16 races 188,895 metres completed. 2006: 15 races 254,066 metres completed. 2005: 11 races 132,117 metres completed.